Despite word that US Olympic development camp rosters would be officially announced tomorrow at 10am Eastern, USA Hockey pulled a fast one and released the rosters. Three Penguins have been invited to attend camp. You probably didn't expect one of them. To the surprise of few the resurgent Paul Martin was invited to camp. Martin had a strong bounce back year after a rough start in his Penguin career. Martin would have likely made Team USA in 2010 if not for a broken wrist that hampered him a bit well into last season. Brooks Orpik, veteran of the 2010 team, is invited back. A known presence and leader on the team, Orpik brings experience from the previous silver medal effort, a knowledge of the coaches system and chemistry with fellow invitee Martin. The biggest surprise is the inclusion of the young Beau Bennett to the ranks of the invitees. Bennett, a winger who saw time in and out of the line up during the regular season and playoffs, is young and relatively unproven yet shows flashes of developing talent. While his inclusion on the actual team is unlikely, it'll be a big confidence boost for the youngster looking to break the top six of the Penguins this coming season. The official roster, per USA Hockey, can be found here. 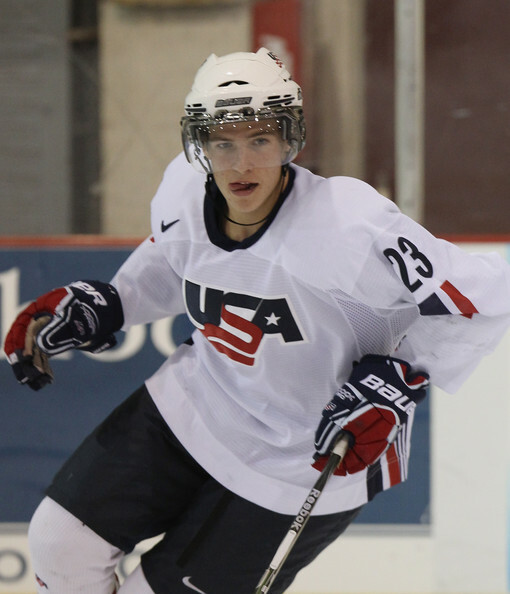 Pittsburgh natives Brandon Saad and John Gibson were also invited to camp. Team USA will be coached by Penguins head coach Dan Bylsma with Ray Shero serving as Assistant General Manager.